No-spend challenges are a great way to focus on frugality, raise money to pay off debt, and save money so you can invest it. Often no-spend challenges involve a week or a month – and if you’ve never done one before, committing to a month of spending no extra money sounds daunting and depriving. 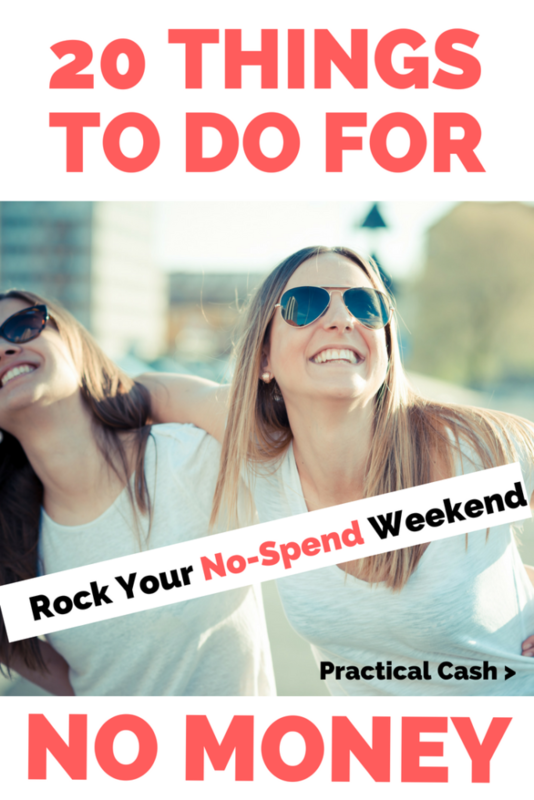 So participating in a no-spend weekend is the perfect way to jumpstart your savings rate or get money toward your goals. It’s a very achievable period of time to avoid spending money. It’s easy for my family of 3 to drop a lot of money in one weekend if we’re not careful. If we go to the movies on Friday ($75, with tickets and snacks), out to dinner on Saturday ($120 for 3), and coffee and ice cream on Sunday, we can easily spend over $200 just on those activities. Over the course of the month, spendy weekends add up to a big $800 hole in the budget. So much of the time, we try to keep our weekend spending in check. No-spend challenges are a great way to do this! Looking for a spending freeze inspiration? 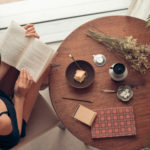 Check out 11 Books to Read During a No Spend or Save Challenge. 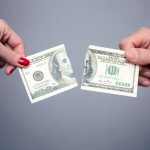 What Is a No-Spend Challenge? 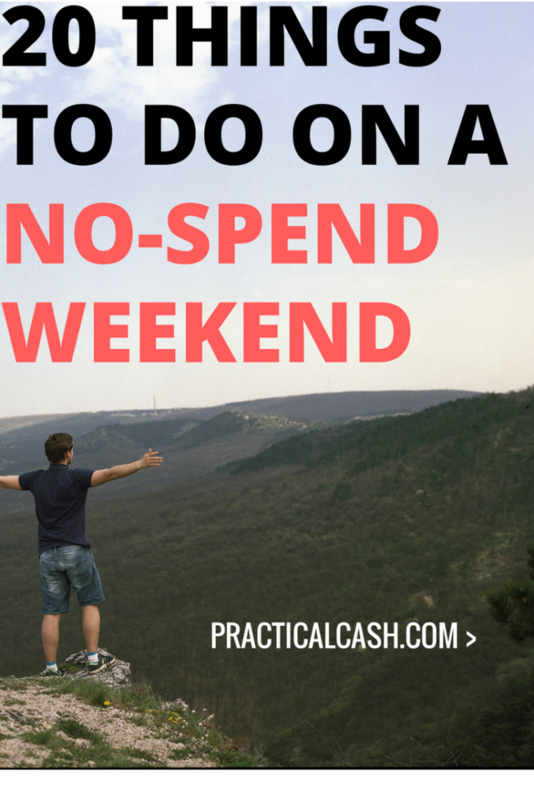 Why Do a No-Spend Challenge This Weekend? 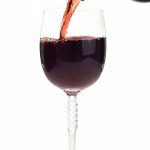 Do you want a Free $5 to get started on Poshmark? Simply download the Poshmark app in your phone and enter berklanstyle as the personal invite code. You won’t get the $5 unless you use the code, though, so be sure you enter it when you download. It’s super easy. A no-spend challenge is simply a period of time during which you spend no money at all or spend only on essentials you deem necessary. On a no-spend weekend, you might choose to spend nothing (not even on gas or food), choosing to use up what you already have at home. During a no-spend month, you might choose to only purchase food and gas and pay your normal bills, but avoid spending on clothing, technology, or eating out. Before you embark on a no-spend weekend, sit down with your partner or family and discuss your plans. For family members concerned that the weekend will be boring and devoid of fun, use the list below to brainstorm your own schedule. They’re a great way to stop spending money on things you don’t need. The money you save can be put to good use elsewhere (such as to pay down debt or add to an emergency fund in a high yield savings account). They force you to determine your financial goals (what you want to use the money saved for). They encourage family togetherness and frugality, rather than mindless consumption. Visit your local library. First stop on a no-spend weekend should always be your local library. Not only are the books, magazines, video games, CDs, and movies free entertainment to check out, you can also score no-money passes to local museums, science centers, and zoos. You borrow and return the pass like you would a book. If you plan to hit up the museum on a weekend, be sure to book your pass in advance. Throw a potluck. Invite your friends over – everyone brings food and drink to share, and you provide the atmosphere. Perfect way to see people at no cost to you. Find a new podcast and binge listen. Whether you want to brush up on a personal development skill or listen to a great story, podcasts are free and a fun way to pass the time. Declutter a closet. Have you been meaning to clean out your closet forever? It doesn’t have to take all weekend. After you purge, drop off your donations right away. Go geocaching. Geocaching is like a mini treasure hunt for kids and adults. It’s very inexpensive, gets the entire family working together in nature, and costs little to nothing if you have a cellphone or GPS. Visit geocaching.org to get started. Check out a cultural festival. The website of your local community paper lists free community cultural events. You can walk around, listen to music, and try food samples for no or little cost. Discover a disc golf course. If you have a Frisbee or two at home, this is a total no-spend win. Most disc golf courses are free to play – check out http://www.pdga.com/course-directory for a course in your area. 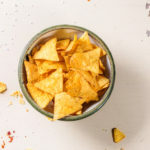 Prep an emergency kit. Do you have a bug-out bag ready in case of emergency, like a national disaster? If you’ve always intended to gather emergency supplies, a no-spend weekend is the perfect time to gather the basics you have around. Here are some suggestions on creating a 72-hour survival kit. Check out your local parks department. Your local parks and recreation program may offer a host of free weekend activities that fit perfectly with your no-spend goals. From talks about composting and bees to free music programs, parks programs often offer free programming for kids and adults. Check out their local website. Update your LinkedIn profile and reach out to networking contacts. Do a 7 minute body weight workout. This one from the New York Times requires no expense or equipment. Take a warm, long bath. Go to a local animal shelter and volunteer to hold some kittens or puppies. Clean out your fridge. Ditch the old condiments and forgotten leftovers. It feels great to start the week with a fresh, clean-smelling refrigerator. List something you don’t use anymore on Ebay or Poshmark. I make money selling plush online every year. You can list old games, books, movies, or even clothes to resell. Poshmark in particular is super easy; there are no fees to sell and you can do it right from your smartphone in the free app. Help yourself to hiking. If you have small kids, you might be intimidated by longer hiking trails. But it can be just as fun to just head out to a local park, find a short trail, and bring a picnic. Best of all this is a truly frugal thing to do with kids – simply the cost of your home-packed lunch. Meal prep for next week. Do you meal prep? If you get sick of cooking every night when you get home from work, meal prep can save your budget and your waistline. Here’s more info on meal prepping on a budget during your no-spend weekend. Connect with an old friend online. How long has it been since you messaged your best friend from college? Make some time on a no-spend weekend to reach out to someone you haven’t heard from in a while. Treat yourself to a pedicure or manicure at home. Visit a local dog park. Take your pooch to a local dog park – or even if you don’t have a dog of your own, your kids will love hanging out and watching the dogs play. Pocket a few dog treats to hand out to dogs your kids meet. 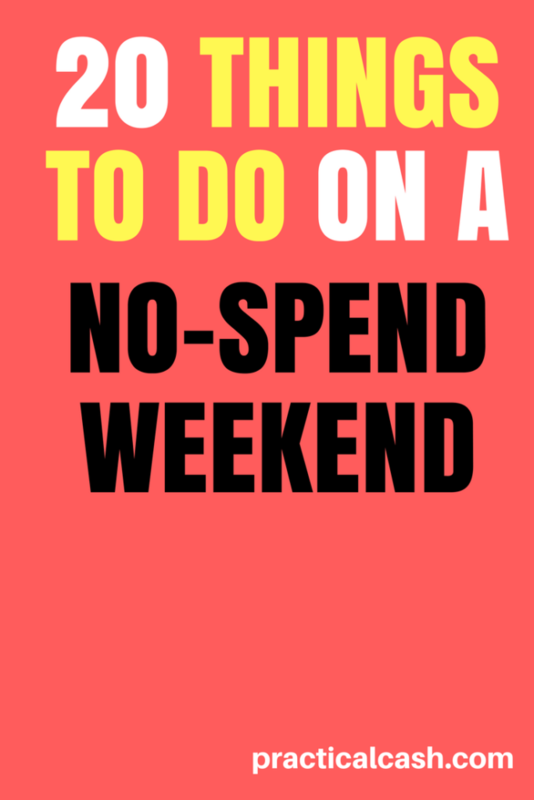 Have you ever done a no-spend weekend? What are your favorite activities for having fun without spending any cash?